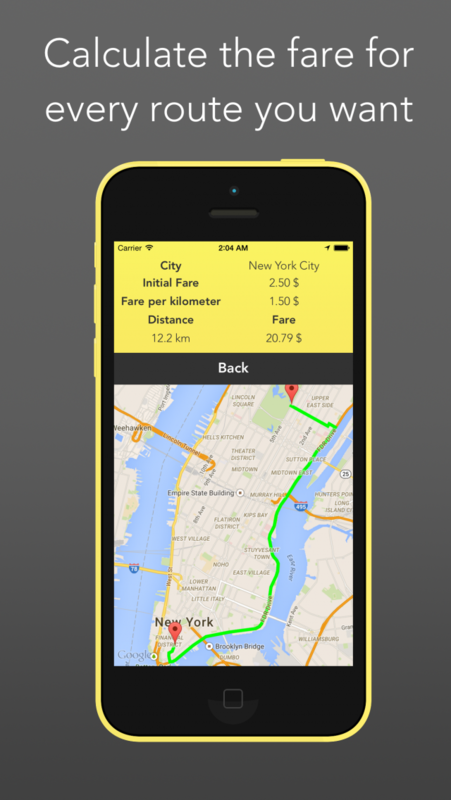 You ever wanted to see your taxi ride and projected fare in ••• real time ••• for every place on the ••• world •••? TaxiCheck can just do do this for you! 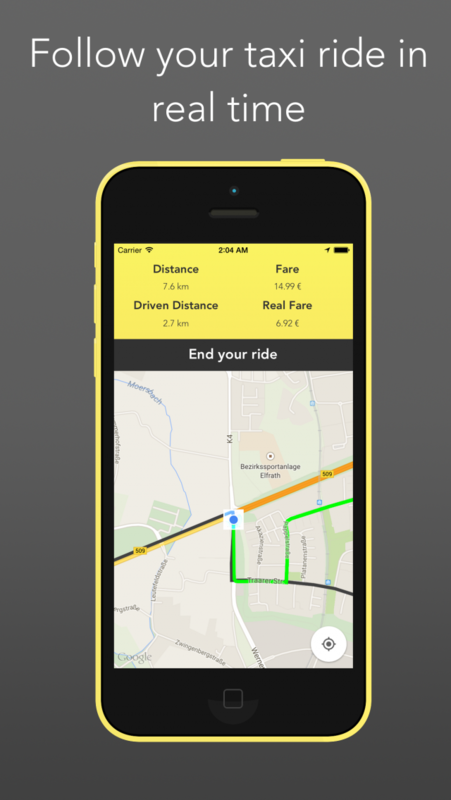 Of course TaxiCheck can just calculate the fare for all your imaginable routes too! This app currently supports ••• over 100 ••• (and steadily growing) cities. - This app is completely ••• free •••. In case you want to support us there is an option to remove the advertising from the application. - Supports fare calculation ••• worldwide •••. If no rate for your current location can be found the application will use the nearest rate available. - Supports watching your ride in ••• real time •••. Just hop in your cab and follow your route. This way you can see if your drivers goes the right way! - The size of this app is just ••• 5 MB •••. It will not clutter your device! - External API! ••• No update ••• is required for you to use the latest added rates!